The boys start school today and just like that summer is done-so sad! 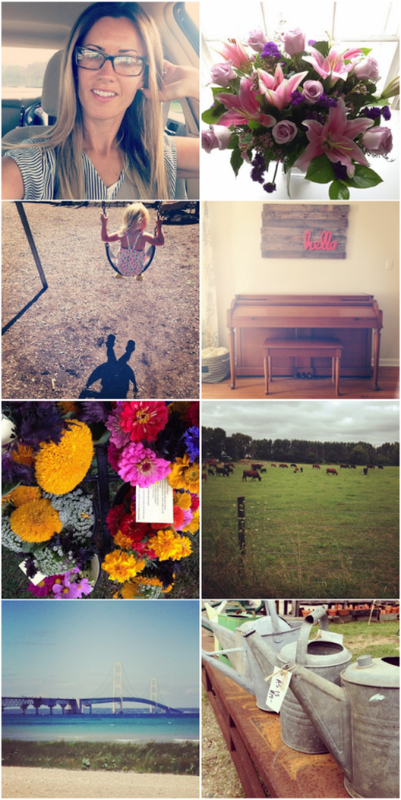 We had a busy summer and I made sure to capture some moments on Instagram-do you follow me on Instagram yet? Go here to follow me. Above are just a few images of things we did over the summer. We went to Michigan for almost the entire month of July. The kids did summer camps, a Lego camp and Farm Camp. We spent many mornings at the park and almost every afternoon in the pool. My husband and I celebrated our anniversary and all our kids celebrated birthdays. I had LASIK eye surgery which has been wonderful! We inherited a piano from a neighbor and we sanded and stained it and our floors. Now that school is in session, I can finish some projects I have been slowly working on with my blog. And I have a big trip that needs some planning. I'm so sad to see summer go, but so happy to get back to schedules and routines. I hope you had a great summer too!